You've got places in the [Natural Gas] spot market where there's really a tightness of supply that are $40 and $50 and maybe even a multiple of that in some areas. "If it were just Turkey, we could deal with it. If it were just Venezuela, we could deal with it. If it were just China, we could deal with it. But, you throw them all in the pot at one time, you've got a problem everywhere… This is very real." The real reason that we've gotten the stock markets to tumble as strongly as they have are these problems all coming in one fell swoop at one time. It's quite serious. Dennis Gartman says its a bull market and its going to continue to be a bull market. The trend is still the trend, it is still moving to higher prices. For forty years, I have decried the reliance upon the non-farm payrolls number as anything other than a number pulled from thin air. The revisions have been higher or lower in absolute terms by 40-50,000 per month, and there's no consistency to it. I’m good at trading and I’m wrong a lot according to my wife. When we got married, we sat down the first year and she said you know this is really very sad. You had a good year at trading. You made us a very nice living this year but Dennis you were wrong 53% of the time this year. I thought this was terribly harsh. You couldn’t even beat a coin toss. I got out of it by saying, Sweetheart I’m so in love with you that it’s colored my ability to think. She bought it. I got another year. We sat down the second year. She said, my wife the accountant, one plus two equals three. She said this is really very sad. You made more money trading this year than you made the previous year. But this year you were wrong 57% of the time. And people pay you for your ideas. And I’m standing by the notion last year that I told you. You can’t even beat a coin toss. You need to do better. Sweetheart I’m trying. Third year we sat down. My wife, the accountant, one plus two equals three. She said this is sad. You made more money than you made the previous two years. That’s lovely. I want to stay with you. But Dennis, you were wrong 68% of the time this year. Almost 7 out of 10 of your trades lost money. You have got to do better. I told her Laura I’m trying. I’m gonna try. Fourth year we sat down. My wife, the accountant, one plus two equals three. She said, you know, I get it now. You had the best year you ever had. Made more money this year then you made the previous three years. That’s lovely. This year you were wrong 81% of the time. I think if you can just be wrong 95% of the time. We’re gonna get stinkin’ rich. I think I can do it. I think I have it in my grasp to be wrong. Bitcoin is so volatile it could very well rise to $4,000. I think ultimately, bitcoin goes to zero because there are just going to be other people who can come out and create another sort of bitcoin. What's to stop anybody from doing that? I'll let other people wiser than I or younger than I trade it. I can make no sense of bitcoin whatsoever. Markets that will not go down on bearish news are not bear markets. 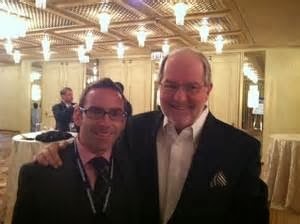 Dennis Gartman is the publisher of the Gartman Letter and frequently appears on TV including CNBC, and Bloomberg news. He has been involved with trading since 1974, which he continues to do today. [ Watch and hear Gartman talk on gold for full commentary ]. 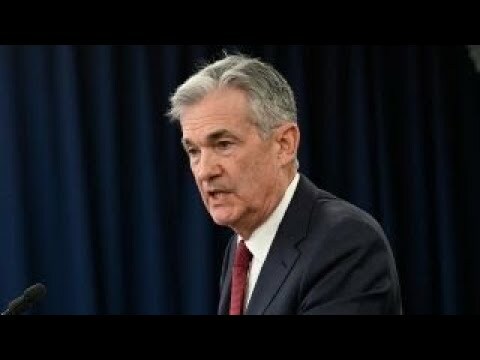 Dennis says the commercials are now overwhelming net long and notes the last time this happened was at the previous Gold bottom. And its getting closer to getting long Gold in dollar terms. However the downward sloping trend-lines in Gold are a test from beneath. I'm still bullish of stocks. Stocks are going to go higher. But if there's something that I'm concerned about, it is China. The liquidity crunch is very serious. Usually, these things resolve themselves in a very benign manner. Usually, these problems just disappear after the turn of the year. But if you have to be concerned about something, be concerned about the fact that short-term rates in China have risen several hundred basis points.